Welcome to this Dragon Wars fan site. 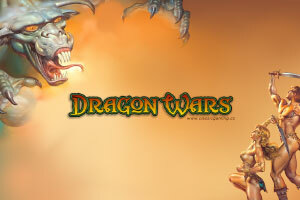 Dragon Wars is a fantasy role-playing video game. It was developed by Rebecca Heineman and published by Interplay Entertainment and distributed by Activision in 1989. 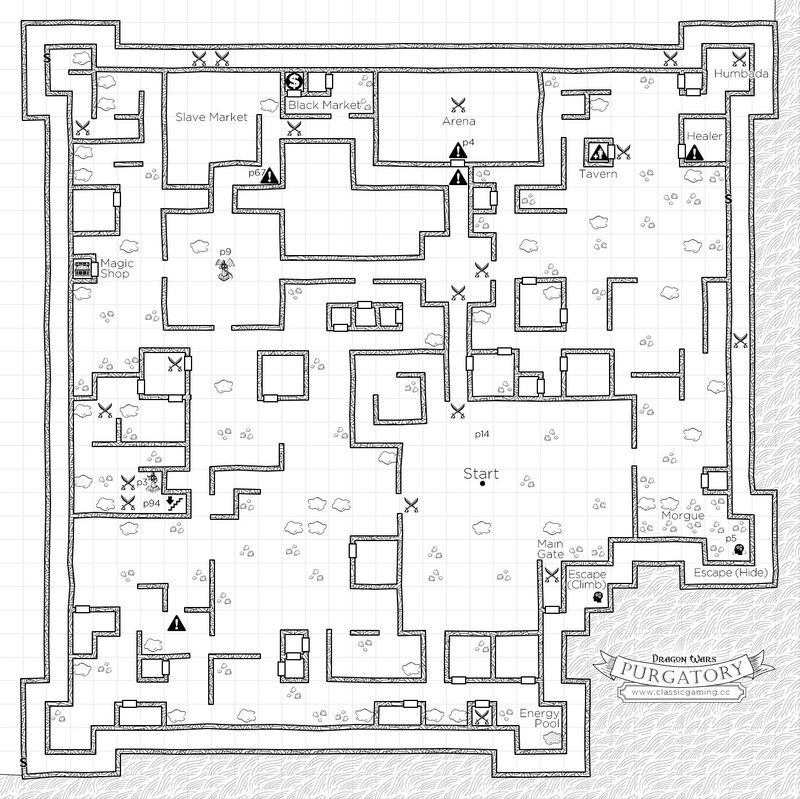 The game was developed as a fusion of the Bard's Tale engine and Wasteland's design philosophy. With the possibility that Interplay would soon be parting ways with Electronic Arts, the design team decided to separate the game from the Bard's Tale name. 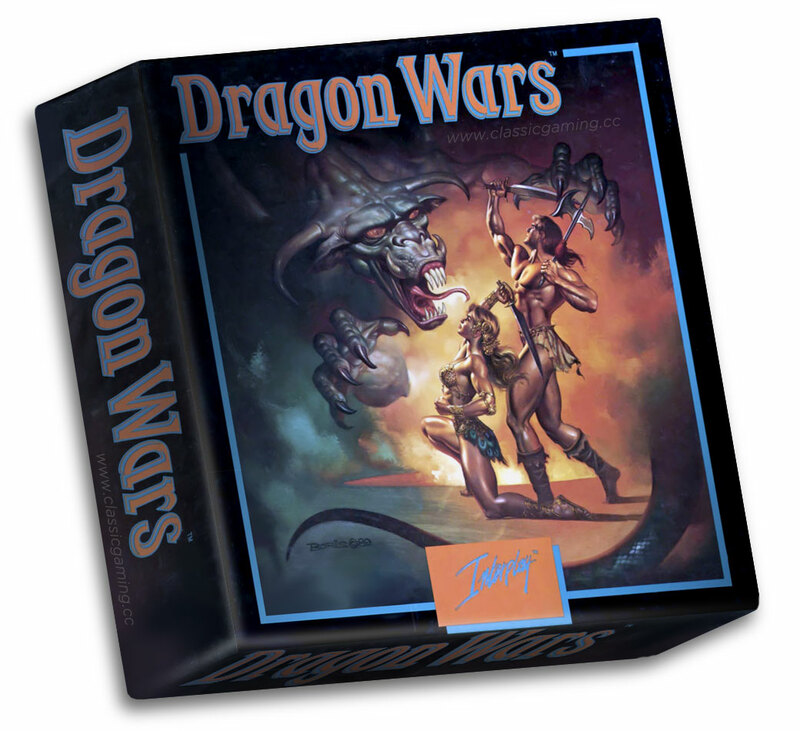 Released under the title of Dragon Wars, it was always considered a sequel to the Bard's Tale trilogy, and considered to be Bard's Tale IV. 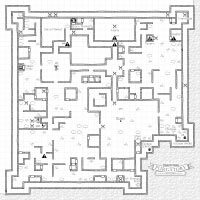 This site was created to as a shrine to Dragon Wars, and contains all the information you need to play and complete the game. And, since the game is no longer under copyright laws, you can even play the game in your browser window! However, King Drake of Phoebus has declared all magic illegal - magic users have been slain or fled into exile. In retaliation, enemy islands have threatened to unleash their guardian dragons, the most destructive force in the world. While docked at a harbor in Dilmun, you are arrested on suspicion of spell casting. Since the game was branded separately from the Bard's Tale franchise, it was feared that the game would not be received as well. While the designers thought the game was better than any other game in the Bard's Tale series, they feared that it would not do well without the tie-in to the old title and without Electronic Arts's marketing muscle. So they advertised the game with the slogan "Bard's Tale Fans Rejoice! ", and mentioned the ability for players to import Bard's Tale characters. The game was reviewed in 1989 in Dragon #152 by Hartley, Patricia, and Kirk Lesser in "The Role of Computers" column. The reviewers gave the game 5 out of 5 stars. The game was given a positive review in Computer Gaming World in 1989, noting improvements over the Bard's Tale series, saying that, "Tighter design, attention to detail, balanced combat, and a carefully constructed plot line all combine to produce a CRPG well worth playing." In 1993 the magazine stated that the game was "a good choice when you want something a bit more than a standard slicer/dicer". The game was later included in the Interplay's 10 Year Anthology Classic Collection released in 1993.